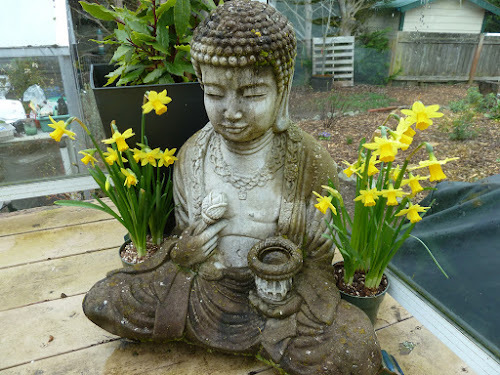 My Home and Garden: My stone Buddha with mini daffodils. Isn't this beautifully zen. This Buddha looks very child like to me. I love his face and the calmness of it.